TruQuon is using Smore newsletters to spread the word online. The Crucible was a screen play written by Arthur Miller in 1953. although the crucible was a fictional play, it was based on true events that happen in Salem Massachusetts. 19 humans and 2 dogs were convicted. 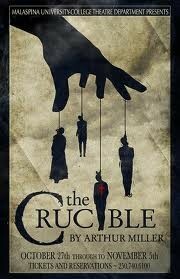 in the crucible scene 1 in act 1 Rev Parris daughter Betty was bed ridden with an unknown illness. the town and Rev Parris has a haunch that the ill came from Betty and a group of girls trafficking with the devil in the woods. After hours of interrogating Betty cousin Abigail who was with Betty she finally started confessing about how Betty and the group of girls where practicing witch craft with the help of Tituba the maid from Barbados. When they started confessing Betty awoke from her sleep and helped with the confessions. McCarthyism is the act of accusing someone without any evidence supporting your accusations. Joseph McCarthy was an senator from Wisconsin. 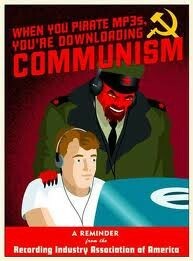 During the 40s and 50s communism was a major issue. The united States government was worried about communism being in our government, that any little unusually act would trigger the assumptions of communism in our government. That is what happened in the book crucible. In both of these time period people accused other people without any evidences. In the crucible Mrs Ann accused the nurse, because the babies she delivered. The same thing happen with Joseph McCarthy. He accused people of being communism based on their actions. the red scare was an big deal during this time period, and just like the crucible many people were convicted and falsely accused. all in all the people who was abnormal were the people who was considered a witch or communist. both of these events created mass hysteria and mob mentality.